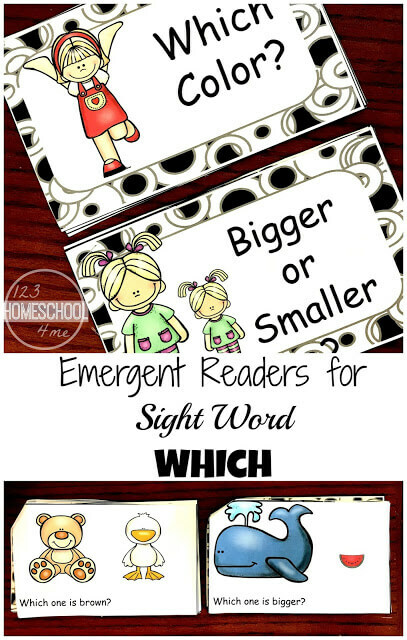 These free Kindergarten Sight Words Emergent Reader are perfect for kindergartners that need extra practice with the sight words which! I’m not sure what it is about the sight words that start with “w”, but they are throwing my little guy for a loop. When, what, which! I can almost hear him thinking, “hhhmmm which word should I guess today?” I want to help him, and give him a little more practice with these words…..so I created a couple of emergent readers where he can practice reading them over and over. And today is the day for the sight word which!!! Here are sight word books for kindergarten free to help kids practice the tricky which word. Emergent readers require very little prep-work. Simply print off the reader in black and white or color. Then cut it in half , stack up, and staple it together. Now you are ready to go with your free printable sight word books. Before having a child read any book to you, it is important to introduce the book to them. This is a time, to make sure they know what each picture is, and to point out any tricky words. Point out that this word normally starts a sentence that is a question. You can even go as far as to show your students what a question mark is. This book, of course, focuses on the word “which”, but you also get to review reading color words. 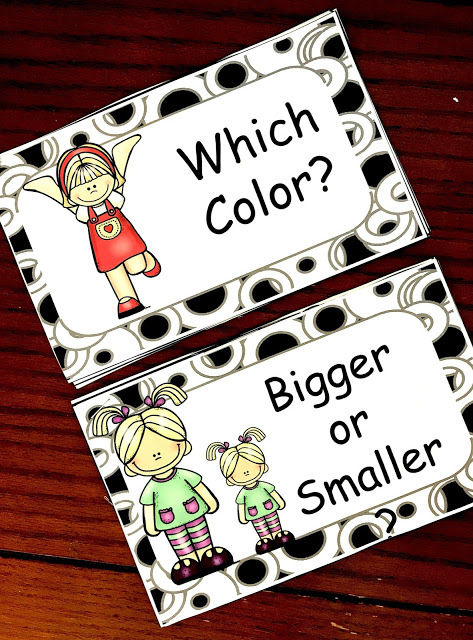 If your child is still struggling with reading color words, it may help them to do a quick review with these free flashcards before you get started. Depending on the level of your child you may also want to review a few of the other sight words that are found regularly in the book. Once all that is done, it is time to enjoy the book. As your child reads through, have them stop after each question and answer it. When they are answering you are encouraging comprehension and you are getting extra work on color recognition too. The last page is tricky. 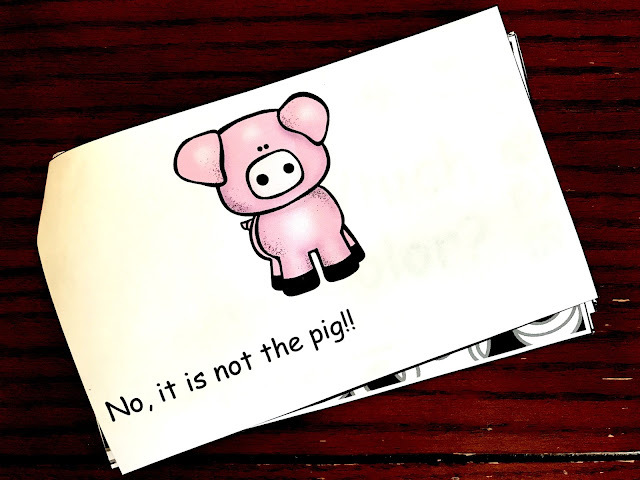 After each question, the author is assuming the child answers correctly and says, “yes”. The last page changes to no. You can preview this in the introduction, or see if your child notices the change. This will let you see if they are now reciting the book from memory, or actually reading words!! 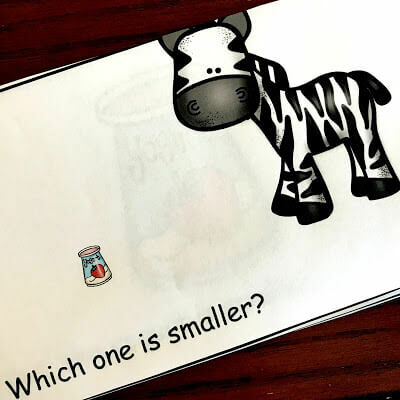 This book focuses on the concept of which is bigger or smaller. You definitely want to make sure that your students understand this concept and can recognize these words before you allow them to read. Once all that is reviewed, you are ready to practice the sight word which, one more time! Enjoy working on the sight word “which” and get more sight word books for when and where here.